The leadership of the American Armor Foundation, a Georgia-based 501c3 public charity tasked with a mission to provide body armor to law enforcement officers working in underfunded agencies, is pleased to announce that the Woodbury Police Department has been selected as the recipient of its first large agency grant. 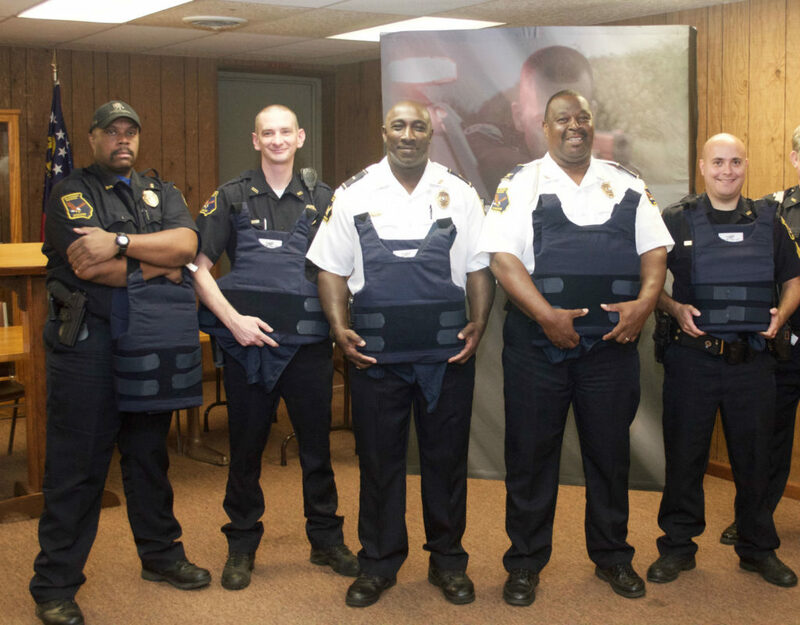 American Armor’s founder, Brandon Perkins, and members of the Board of Directors were on hand at the Woodbury Police Department on Wednesday September 14, 2016 to present seven of the agency’s officers with brand new body armor. Notably, this isn’t replacement body armor. These officers, like thousands of others across the United States, had been performing their duties without it due to a lack of funding. Perkins found this unacceptable and decided to make it his mission to do something about it and The American Armor Foundation was born in March 2015. “It takes time to complete all of the legal requirements to form a nonprofit, to develop a solid Board of Directors, and raise the initial funding necessary to get such an organization off the ground. Woodbury PD is the culmination of 18 months of hard work getting this important organization started and we are proud to have them as an important part of our story,” stated Perkins.